Aquaman actor, Jason Mamoa was actually planning to be a marine biologist in real life and studied in the Florida Keys. He inherited his distinctive looks from his father who is Hawaiian and his mother who has German, Irish, and Native American ancestry. 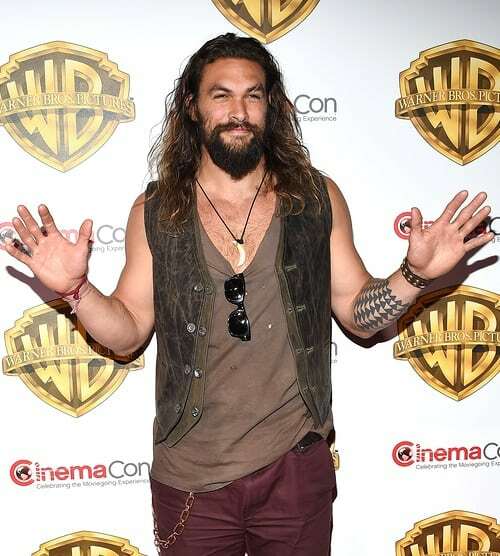 Momoa won the part of Khal Drogo on Game Of Thrones through his audition, in which he performed the Haka, an intimidating Māori war dance traditionally used on the battlefield. In 2008, Momoa was slashed in the face with a broken beer glass at a Hollywood tavern. He received around 140 stitches during reconstructive surgery and his scar is still visible.